I was playing with my dreads and noticed one of them was sticky. Upon further investigation there were some grey spots where dust and other nastiness had stuck. I couldn’t believe there was still wax in my hair! But it explains why those few dreads weren’t progressing. I dunked my head in a bowl of apple cider vinegar and left it for 20 minutes, then showered and washed my hair very well. Speaking of washing, I got my Dr. Bronner’s soap, but it has a wretched smell. I got the rose, almond, citrus, and peppermint scents. It also leaves a ton of residue in my hair, but that might be because I don’t have soft water. I use a guestimated 1:12 ratio to dilute the soap, but it still might be too much soap. The peppermint bar soap is nice, though. It smells great and I haven’t noticed any residue. As you may have noticed I haven’t done any maintenance in a very long time. 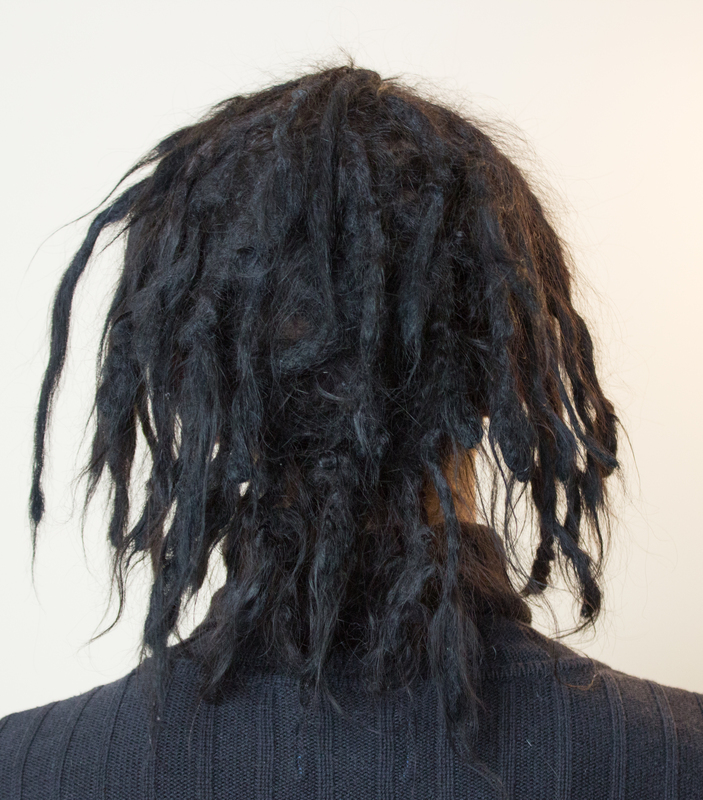 Dreadlocks are a natural process and overly maintaining them actually hurts them. I regret trying to blunt my tips in the beginning because now some of my tips are super thick and look odd, as you can see from my Charlie dreadlock. Learn from my mistakes and just let them be! They will progress on their own and look great over time! I feel so bad that you had wax put in your hair!! 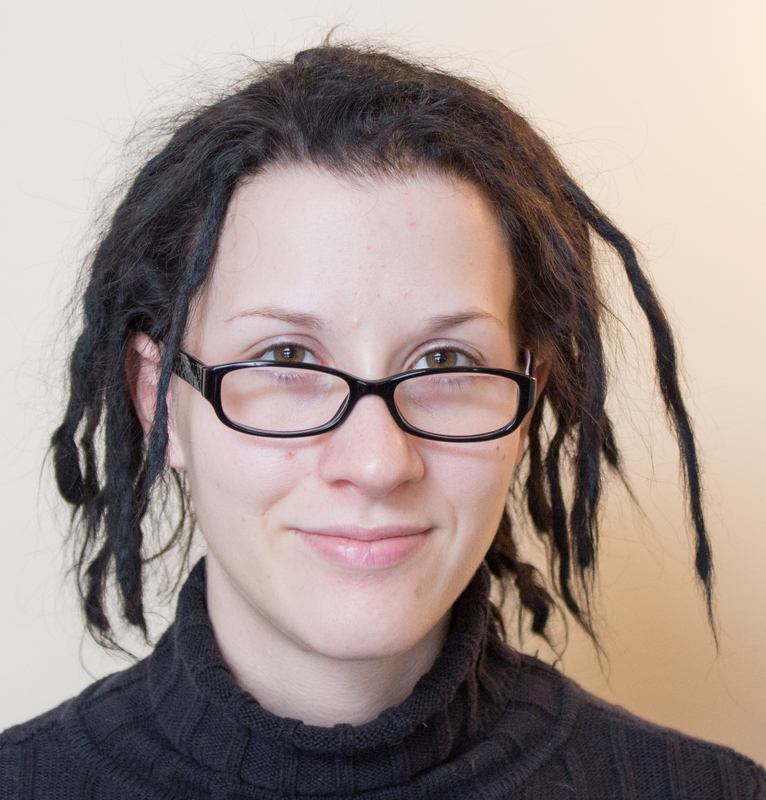 My dreads were just backcombed and I do a sort of pinch roll to each dread every week or whenever they are feeling matted and flat. With washing, I’ve been using just blue Dial soap in a foam dispenser, rinsing well, and then filling the bath tub and dumping white vinegar onto my hair while soaking in the water. My hair hasn’t been feeling oily or itchy and my dreads feel tighter all the time. 🙂 You should try the dial soap and hot water, that may help to get any more grime that is stuck in your hair. I’m sure it’s cheaper and smells better than all the “dread soap” that’s out there.